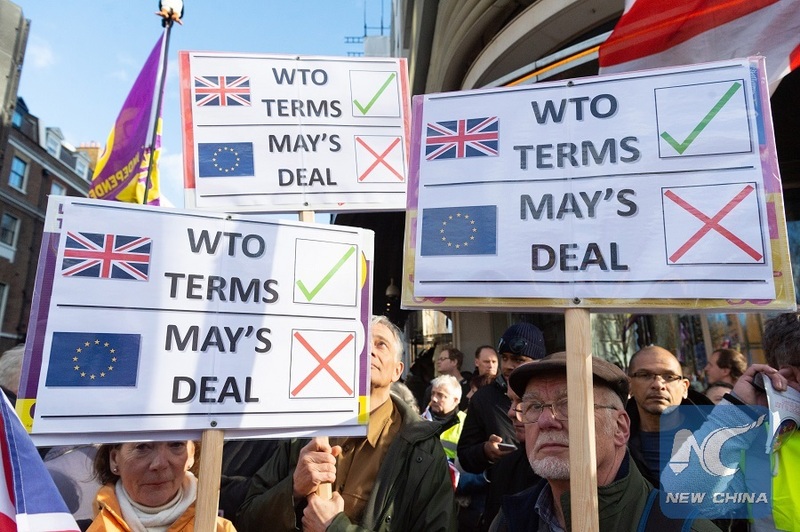 LONDON, Dec. 10 (Xinhua) -- British Prime Minister Theresa May announced on Monday that the House of Commons vote on Brexit deal scheduled for Tuesday has been postponed. She told MPs at the parliament in a statement that there is "widespread and deep concern" over Irish border backstop. The latest development came one day ahead of the parliament vote where opposition parties and rebels within the Conservative have vowed to foil the prime minister's efforts to have the deal passed. The opposition Labor leader Jeremy Corbyn said May's Brexit deal is so "disastrous" that her government has taken "the desperate step of delaying its own vote".